In the country from which the breed derives its name, the Afghan hound is regarded, though unofficially, as the ‘national’ dog. Native Afghans also uphold the belief that the Afghan is the dog portrayed on the cave walls in the northern province of Balkh, which is why the Afghan has also been called the Balkh Hound. 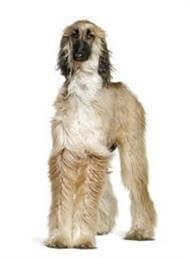 The Afghan hound is a sight hound, rather than a hunter by scent. It has exceptional vision and great speed, both of which were used in the hunt for prey. 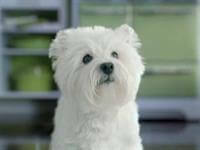 A dog in good condition should be 60cm to 64cm for the female and 70cm to 74cm tall for the male. In peak condition the female should weigh up to 25kg and the male 30kg. The breed is said to have a good, but aloof personality. These dogs are loyal and extremely manageable as adults, however, this is not to say that as puppies they do not have ‘their moments’. On the whole, though, this is a breed that is extremely good with children, whether introduced to the home as a puppy or an adult, and it will adapt readily to the household routine. Afghans should never be off the lead outside their own environment because once the eyes spot a target, the ears ‘switch off’.